Have you been tasked with spending a social media or interactive marketing budget, but don’t know where to start? We can assess your needs, outline opportunities and prescribe specific actions for long-term social media success. This is an in-depth analysis of your site’s presence across the various social networks and a strategy for ways to improve it. Not every site has a place on Digg or Flickr, so we cater our suggestions to realistic options including niche opportunities and relevant mainstream tactics. Facebook, Twitter, YouTube and LinkedIn have all become household names. Your brand needs to be where your customers are. We will identify the social networks where you should be participating and where people are already talking about you. 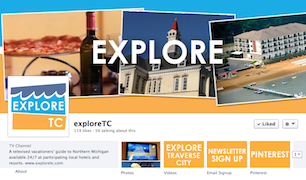 We’ll also help you create and manage your own social media profiles to attract visitors and leverage meaningful two-way conversation. This package is a great fit for businesses that don’t have the time or marketing know-how to maximize their reach and engagement across many social networks. We can design, set-up, optimize and manage your social media identities. We learn every aspect of your business and interact with your customers and potential customers using your unique voice and personality. 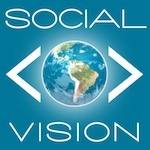 Leave the heavy lifting to Social Vision Marketing. Our set-up and training package is perfect for businesses that have the basic social media skills and the time to devote to daily social network updates, but are looking to establish an initial presence on the social networks. We can help you create a professional and streamlined look that matches your current branding. This package encapsulates all the elements necessary to run an effective social media program and we follow up with special one-on-one training sessions to teach you the basics. YouTube is currently listed as the number two search engine on the web, and its impact is far reaching when coupled with social networking activity. To help businesses capitalize on the social networking value of YouTube, we offer YouTube optimization services including YouTube profile creation, custom YouTube background design, and network building (favoriting others’ work, friending relevant target market members and playlist creation). 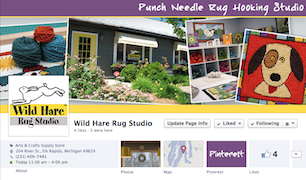 Custom Facebook landing pages welcome new visitors to your Facebook profile. It is similar to the homepage of your website and allows you to create links and incorporate a call-to-action. Available landing page options include basic copy, website links, share buttons, newsletter opt-in, blog stream, embedded YouTube videos/channels, Flickr photo streams, contact forms, and Twitter streams. 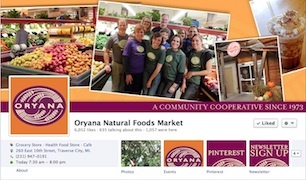 Does your business’ logo transfer well to social media avatars? Your logo serves as an icon that appears on your main profile and is visible to followers and fans in their news feed or Twitter streams. This is the most basic way to extend your brand into your social networking profiles. Our graphic designers can create versions of your logo for you to choose from. Our creative designer and website development specialist can help you set-up, design and optimize your blog on the popular blogging site, WordPress. We have basic and advanced packages to get your new blog rolling. Using WordPress will be easy for you to add content, network and draw web traffic. Our professional copy writers and bloggers research topics related to your industry and write up to 600 word, SEO-friendly articles at intervals of your choice to help keep your blog newsworthy, and your website high in search engine rankings. Articles can be chosen by us or by your business and can be written by a guest or ghost blogger. 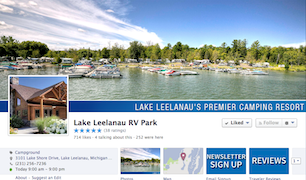 A paid Facebook advertising campaign is a great way to gain exposure and increase your fan page’s like count. Facebook ads can be highly targeted to reach your exact target market Social Vision Marketing will write creative ad headlines and copy to ensure a higher click-through rate and conversion rate. For companies that would prefer to manage social media marketing on their own, but aren’t sure how to do so correctly and effectively, our social media expert is available for one-on-one or group training sessions to fit your needs. Do you already have social network identities but need a little guidance? We offer one-on-one consulting to teach you the basics, provide expert tips and tricks and to hold your hand to get you started.